We have Just Sold out of Star Wars BB-8 18 Ounce Tritan Water Bottle. Not to Worry! Fill in the Notify me When Available and you will be the first in line for our restock of Star Wars BB-8 18 Ounce Tritan Water Bottle !! From the Star Wars The Force Awakens collection by Vandor. 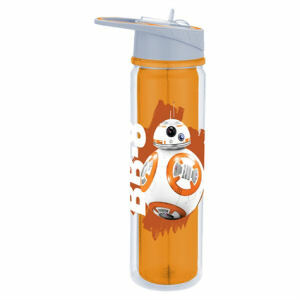 Star Wars BB-8 18 Ounce Tritan Water Bottle This 8.25 inch tall bottle is made from durable Eastman Tritan plastic. Hand wash only. Not dishwasher safe. Do not microwave.